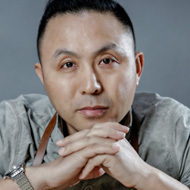 The story of Wang Sen is that of a passionate figure on the artistic side of Western-style bakery and pastry. He, like few others, has contributed to the professional sector in China having access to direct learning with great professionals coming mainly from Europe. In 1993 he founded his school Wangsen Coffeee Baking Western-Food School. At present, it gets 5,000 students per year, has 12 campuses, and a team of 300 teachers. We especially highlight its R+D department and the Top Chef Union, spaces that look especially abroad to improve training. As we said, the artistic side is fundamental for this professional and his institution, something that also goes with participation in professional competitions around the world, a unique opportunity for his best students and teachers to complete their professional skills even more.